If there is one state in India which you can unanimously pick for its affection and patronage for various sports, it is West Bengal. Rural and urban areas alike, the state is a hotbed for sports enthusiasts who can be found everywhere – from the tea stalls next to the Howrah railway station, to the corporate boardrooms of MNCs in Salt Lake. The undying passion for sports like football and cricket, prevalent in every nook and corner of Bengal is perhaps the biggest reason behind the creation of an entire array of famous sportspersons from this state. We shall, in this article, take an objective view of the entire sports sector in West Bengal. To put things as succinctly as possible, Bengal is the ‘Mecca of Indian Football’. It was as early as 1877, when the British administration in India was still in its nascent stage, that Bengal found its calling in football, and the lion’s share of the credit for introducing this foreign sport to India goes to a quirky teenager and a student of Hare School in North Kolkata – Nagendra Prasad Sarbadhikary, affectionately referred to as the ‘Father of Indian Football’ by the football aficionados of today. Historical records suggest that Nagendra Prasad was instrumental in encouraging his classmates of Hare School to try out a new game in the school compound itself – and it was with Nagendra Prasad and his friends playing football in their school compound that this beautiful game first came to the notice of the city, and subsequently to the rest of the country. It is believed that the Europeans who were engaged as teachers in Hare School, at that time, were so moved by the enthusiasm of this group of boys that they took active steps to ensure that football quickly spread beyond the precincts of the school. Young Nagendra Prasad, encouraged by the support from his teachers, took the initiative in spreading the word about football throughout Kolkata. Still a teenage school boy, Prasad founded Boys’ Club and Wellington Club in Kolkata, to promote football. Later, he was also instrumental in founding the Sovabazar Club, which is regarded as the most famous Indian sports body that existed during the British era. Bengal’s love for football went viral very soon, as the entire Bengali community found in the game an inseparable link with their lives. This was amply manifested in the rapid rise of Mohun Bagan Club to the zenith of success in 1911, when it vanquished the East Yorkshire Regiment to claim the IFA Shield, which had hitherto remained locked in the vaults of the British teams from India. In the aftermath of this historic victory of a Kolkata based Indian club over the British counterparts, football became more than just a game to the inhabitants of the state. Clubs and sports bodies proliferated like never before (famous clubs like East Bengal were founded by 1920), and those that were already existing – like Mohun Bagan (founded in 1889), Mohammedan Sporting (founded in 1891) – received massive waves of supporters and endorsers from various parts of the country. Salt Lake Stadium – Yuva Bharati Krirangan, Kolkata. Located in the Bidhan Nagar area of Kolkata, this is the second largest football stadium in the entire world, with facilities to host other sports too. With an estimated capacity of 1,20,000 (which overshoots very often during Derby matches between Mohun Bagan AC and East Bengal FC ! ), and a field size of 105x68 metres, covering an area of more than 75 acres, the stadium was inaugurated in early 1984 to mark the ever growing dominance of Bengal in Indian football. Cricket is sacrosanct in this part of the world, and you can always spot a cricket fan in virtually part of the state that you visit, and the widespread penetration of television, internet and social media has ensured that the traditional love affair between Bengalis and the Gentleman’s Game only got deepened with time. It was the establishment of the Bengal Gymkhana in 1911 that gave the first major impetus to cricket in this state – and the pioneering initiatives of Dwijen Sen, then Secretary of the Sporting Union Club, in association with the lavish patronage of the Maharaja of Cooch Behar made sure that the game of cricket could slowly, and steadily, find its way into the veritable ‘hub’ of football in this country. Activities undertaken by the Bengal Gymkhana to promote cricket slowly found acceptance at various levels of the society, encouraging the royal Maharajas from Kashmir, Mymensingh, Natore and Cooch Behar to form their own teams and compete with each other on a regular basis. By the turn of the second decade of the 20th century, Bengal cricket had grown significantly and attracted the attention of many an observer. However, the defining moment for Bengal Cricket and Indian Cricket came in 1926-27 when the Calcutta Cricket Club managed to invite Arthur Gilligan’s MCC team to a country that was still reeling under the yoke of the British colonialists. At present, the Cricket Association of Bengal is the centre of power for cricket in this state – calling the shots in various administrative issues pertaining to the conduct of the game. The Bengal cricket team has won many a laurel in the domestic competitions like Ranji Trophy and Duleep Trophy, thereby managing to keep the fire of cricket burning in Bengal. The advent of the star studded IPL in 2008 and the creation of the Kolkata Knight Riders franchise by Bollywood superstar Shah Rukh Khan has provided a massive boost to the state of cricket in this state. Established way back in 1864 his is the largest cricket stadium in the country, with an estimated capacity of nearly 67,000, and popularly known by the epithet ‘Cricket’s answer to the Colosseum’. The stadium underwent a major renovation before the 2011 Cricket World Cup, during which the seating capacity was scaled down from 1,00,000 to 67,000. The picturesque stadium is located in the vicinity of the Calcutta High Court and the State Secretariat, in B.B.D Bagh. At present, it serves as the home venue for the Bengal Cricket Team and the Kolkata Knight Riders, besides hosting Tests, One Day Internationals and T20s for the Indian Cricket Team. Hockey is another sport that Bengal has been traditionally known for, as the first Indian hockey club, the oldest Indian hockey tournament, and the first Indian hockey association were all formed in Kolkata in the later half of the 19th century. In 1928, the national hickey championship was held for the first time in the state capital, drawing teams from the 5 provinces that were still a part of British India, and it was right after the conclusion of this championship that hockey team to represent India at the 1928 Amsterdam Olympics was chosen in Kolkata. However, lack of follow up measures in the post independence era saw hockey’s popularity in the state decline to abysmal levels and presently Kolkata is the only metro is the country which lacks the customary Astroturf – which is a prerequisite for present day hockey! 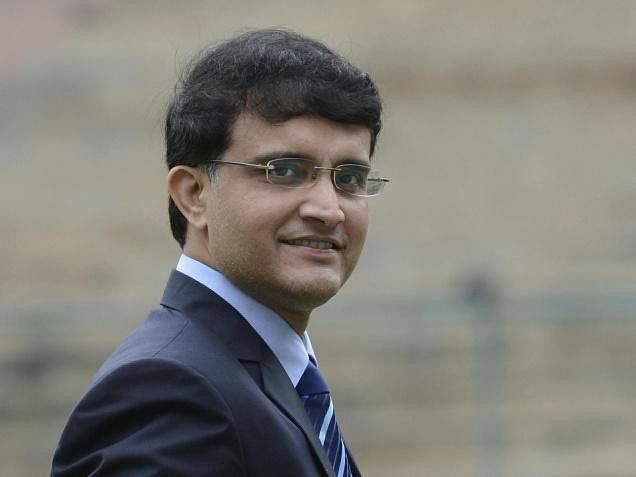 Sourav Ganguly, the former captain of the Indian National Cricket Team who is credited for having turned the fortunes of the national side and taking it to the very pinnacle of success from the abyss of constant failures. Pankaj Roy, a former Indian cricketer and Padma Shree awardee whom we fondly remember for the long standing opening record of 413 runs in a Test match against New Zealand in Chennai, with Vinoo Mankad. Dubyendu Barua, a renowned chess grandmaster. Leander Paes, a shining star in Indian tennis and Olympic Bronze medalist. Chuni Goswami, an acrobatic sportsman with the unique history of having played both cricket (at first class level) and football for the state of West Bengal. Even though the enthusiasm shared by Bengalis for sports and games is perhaps unparalleled, the development and growth of all kinds of professional sports requires constant administrative monitoring and financial impetus. And to truly make sports and games an integral part of the life of everyone in Bengal, their value and utility must reach the very grassroots of the society. Noteworthy in this regard is the birth of schemes like PYKKA (Panchayat Yuva Krida Aur Khel Abhiyan), which are expressly aimed at promoting the usefulness of sports at all levels of the population. PYKKA is a scheme launched by the Indian government which aims at reaching out to various communities in rural and urban areas, and striving to build a strong base for various kinds of sporting activities in the country. State governments have been asked to take necessary measures in order to implement such schemes with immediate effect. With the successful emulation of the IPL model for other sports like Badminton and Football, sports other than cricket have received a long due stimulus in every part of the country – if these new found leagues find success in the long run, sports can indeed become a way of life not only for a major chunk of Bengal but for the rest of the country too.